Texas DPS approved four-hour online License to Carry course. Each module has its place in providing a well-rounded education of handguns, proper etiquette and using them in real life. Following our modules in the order that they are presented is key to ensuring you finish this online handgun training course with the proper understanding you need to be a responsible handgun owner. All the course content is provided online. As you login you will go to your dashboard and click ‘My Course’ where you will find a list of each module. Here we will focus on Module 1: Texas Gun Laws. 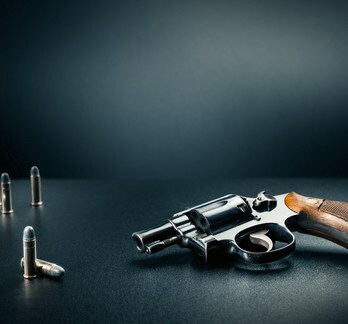 In this first module in our online handgun course you will learn about the laws that relate to weapons and to the use of deadly force. Please stay within the confines of the law. 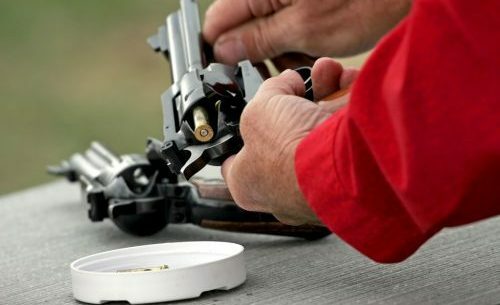 This module specifically covers Texas Gun Laws and the safety and mechanics of firing a handgun in the state of Texas. Section 1: Constitutional Framework – the primary legal documents that define the rights of an individual and the authority of government over those rights. The U.S. Supreme Court is the legal authority to explain and interpret constitutional provisions. This 2nd Amendment adopted on December 15, 1791, is the key provision directed to ownership of firearms. This amendment protects the right of the people to keep and bear arms. The state of Texas also has a framework in place to protect the individual’s right to bear arms. As a License Carrying Citizen you don’t have any additional rights as a citizen in the event of a shooting so it’s important to know your provisions in the law. Defense of home, vehicle or business allows you to defend yourself or another in the case of a threat. This framework therefore allows the right of all individuals to defend themselves or the state, but thelegislature has power by law to regulate the wearing of arms, with a view to prevent crime. In order to get a better grasp of Texas Gun Laws it’s important to understand some basic key terms as it relates to gun law. perceived by the other as offensive. Imminent danger: danger that is pressing, urgent or immediate. Non-Deadly force: any non-consensual offensive touching of another person with the intent to harm. Deadly force: force likely or intended to cause death or serious bodily harm. recognizes that a citizen may have to act in self-defense where a threat is imminent. 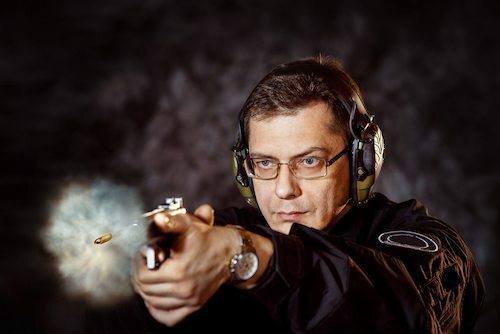 these intently when you take our online handgun training course. each distinct portion of gun laws in the state of Texas. Sign up today to get started!